This parfleche, a tough rawhide bag, was probably carried by a man on horseback between hunting and seasonal camps. Derived from the French, parfleche means "deflects arrow." 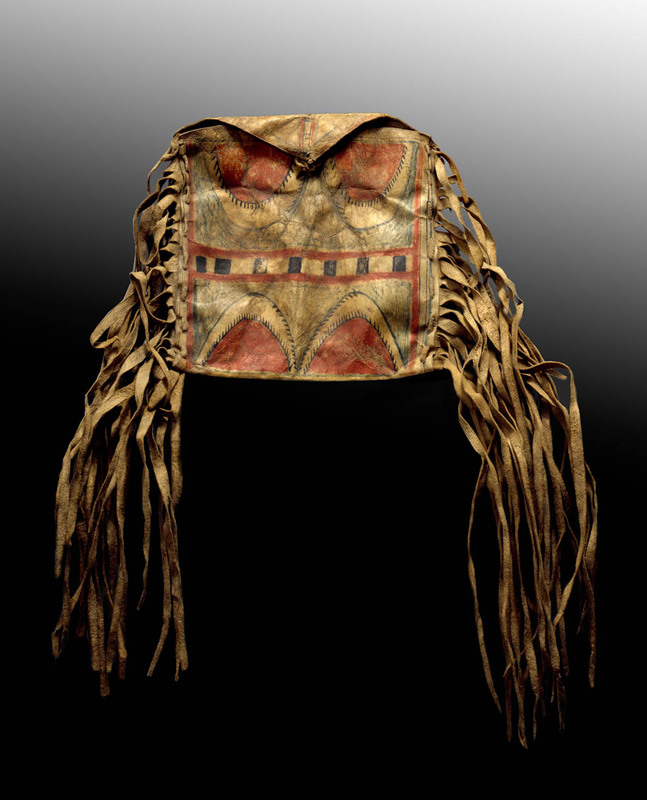 This pouch, with its painted geometric designs and fringes, displayed Comanche style and identity. Grimes, John R., Thomas Haukaas, Mary Lou Curran, Karen Kramer. "Power and Beauty" American Indian Art Magazine 29, no. 1 (winter 2003):48-57.